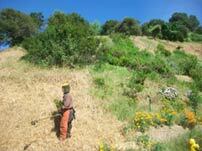 Brush Clearance is a year round responsibility of the homeowner in Los Angeles County. 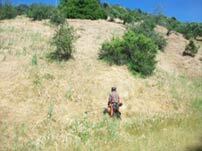 Beginning in May each year, Fire Inspectors will evaluate properties in need of landscape vegetation management. Currently, there are approximately 130,000 properties identified within the Very High Fire Hazard Severity Zones. These areas include the Santa Monica Mountains, Mount Washington, El Sereno, Baldwin Hills, Elysian Park, parts of San Pedro, and the San Gabriel and Santa Susana Mountains. If you have abated the hazard on your property by May 1st. and the property was inspected and no hazards were found, you will not be contacted by the fire department. Thank you for doing your part to make the VHFHSZ and your neighborhood a safer place. 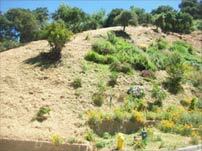 If the property requires work, a Notice of Non-compliance will be given to the property owner describing the work that needs to be done, along with specific requirements regarding managing and maintaining landscape vegetation. You will also be given a time frame in which the work must be completed. Avalon Landscape has been working with the City of Los Angeles in excess of 25 years and the Los Angeles Fire Department helping owners meet the City's yearly Brush Clearance requirements. 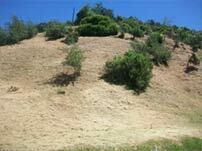 Please contact us today for a free estimate for managing your brush clearance needs. © Copyright 2010 Avalon Landscaping Inc.